Nitenerd This list is based on cards I had laying around. My current play is to give away cheap artifacts and tokens, as far as I know, as long a token enters my board first it is considered something I "own". I am also toying with the idea of Inkwell Leviathan being a wincon, by giving away one of my islands. 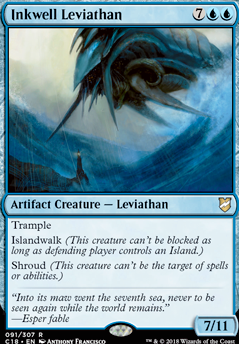 I would be interested in other card with islandwalk, mountainwalk, or plainswalk maybe something that could also be used in one of the primary slots of ramp, removal or draw. I also like the alt win of Hellkite Tyrant . I intend on picking up a copy of role reversal when WAR comes out. 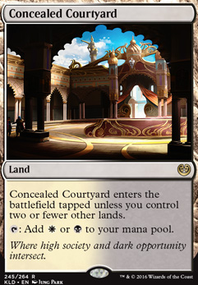 It is perfect for the commander and I like the flavor. I ran Varchild and Rite of the Raging Storm because to me they are in the spirit of the deck. I wouldn't mind cards like roil elemental that take their best things. Where I will take there best creature and give them a 1/1 token. Like a broken "fair trade"
My overall interest in the deck is to grow my political game. My Lathiss, Elenda and Sidisi decks all win consistently enough; This deck is more of a sit down and play for the sake of playing. Any suggestions that help the deck preform consistently would be appreciated, my biggest concern is having enough mana to cast something and then having one of each color to hand it off. So first iteration of my yenett deck was put to the test. 3 games, 3 wins. Worth mentioning i'm playing only in paper and that our LGS is small and deck are rather casual (i believe strongest decks are like 6/10 in term of power). We tend to play long games. My build runs 38 lands (21 basics, 1 fetch), and 10 even cards. Cannot provide decklist yet. My build isn't very focused on single target removal. Thou i need to add some removal for enchantments/artifacts. No Future Sight, Sensei, Soothsaying. Rise of the Dark Realms, Anguished Unmaking i have in other decks. 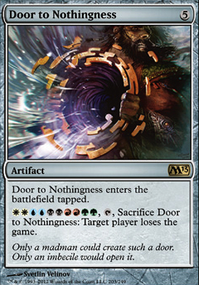 Even cards are : Strionic Resonator (damn this one is strong), Swiftfoot Boots , some 2cmc mana rocks, Supreme Verdict , Wrath of God , Smothering Tithe (Can this get ban already? ), Overwhelming Denial . Since this is "casual", only wheel effect im running along this Smothering Tithe is Dark Deal . Liliana Vess performed really well. I don't have Animatou. 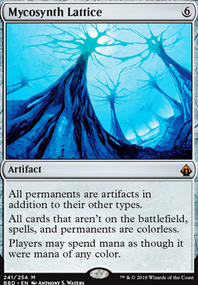 Jace, the Mind Sculptor is probably fine addition to the deck. Dream Cache is probably better than Frantic Search? Living Death is too risky in my opinion. Ethersworn Adjudicator was really good in my games. Counterspell package: Stubborn Denial , Disallow , Overwhelming Denial . If You want to improve Yenett and make deck real nasty , extra turn spells are probably way to go (Nexus of Fate might be really strong). Old Ulamog and New Emrakul are also Odd cards. Magister Sphinx , Enigma Sphinx , Mother of Runes , Iona, Approach of the Second Sun can also be very good. Thanks for the responses and suggestions. @Icbrgr: Inkwell Leviathan is too expensive to serve as an enabler. I want to cast those creatures over and over to get in multiple ninjas and Yuriko, if she dies. I also don't plan to cast my high CMC spells for the actual CMC. 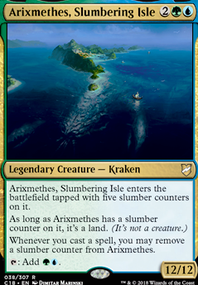 All those spells have a mode to cast them cheaper and I probably won't be able to cast anything for 9 mana, regarding my low land count and how few ramp I play. Familiar's Ruse sounds nice but I prefer that Arcane Denial is easier to cast and can be played without any board presence. Also bouncing my ninjas is not the plan of the deck, since it's too mana intensive for such a fast playstyle. @ x12721: Thanks for the answer. I updated the thread. I explained my thoughts regarding Familiar's Ruse above. 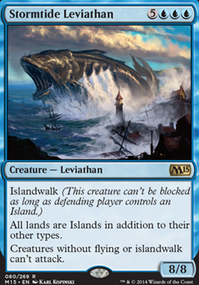 Inkwell Leviathan might be a neat tool here to double as an evasion/unblockable and high CMC? Any thoughts on Familiar's Ruse over Arcane Denial so you can get more mileage out of a Ninja?